PST: LA/LA – Judith F. Baca’s Great Wall of Los Angeles Retrospective - SPARCinLA We are SPARC: Art | Community | Education | Social Justice SPARC | Social & Public Art Resource Center | Creating Sites of Public Memory Since 1976 | Founded by Judy Baca, Donna Deitch & Christina Schlesinger | SPARC is a community cultural center that creates public art as a vehicle to promote civic dialogue, foster cross-cultural understanding, and address critical social issues. We accomplish our mission by producing, preserving and presenting community-based public art. SPARC is a facilitator Ð finding ways to tell richly textured stories that help community participants and artists achieve a measure of change and transformation. As part of the Getty’s initiative Pacific Standard Time: LA/LA, the University Art Galleries at California State University Northridge (CSUN) presents Judith F. Baca’s Experiments in Collaboration and Concrete, an exhibition surveying the nearly fifty-year career of CSUN’s alumna Judith F. Baca, Los Angeles’s premiere muralist, mentor, educator, and community activist. 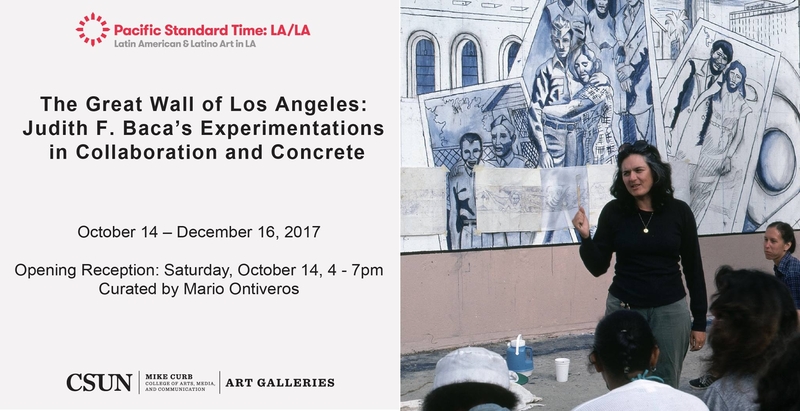 It highlights the collaborative processes and aesthetic innovations central to Baca’s The Great Wall of Los Angeles (begun in 1976), a 2,754 foot-long mural that runs along the concrete wall of the Tujunga Flood Control Channel in the heart of the San Fernando Valley. 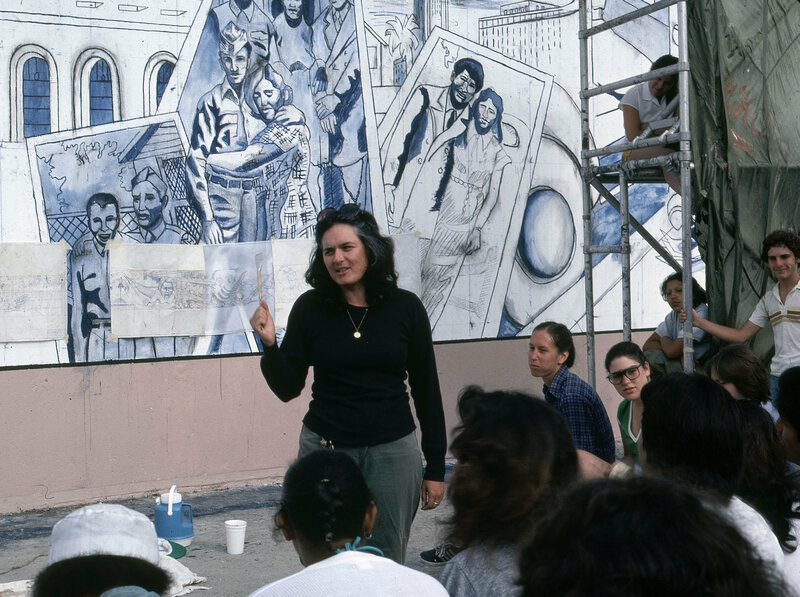 Image Credit: Judith F. Baca, Photograph of The Great Wall of Los Angeles A view of Judy Baca and Mural-makers meeting at the 1940’s section titled “David Gonzalez” in progress. Photograph courtesy of SPARC Archive. As part of the Getty’s initiative Pacific Standard Time: LA/LA, the University Art Galleries at California State University Northridge (CSUN) presents Judith F. Baca’s Experiments in Collaboration and Concrete, an exhibition surveying the nearly fifty-year career of mural making by CSUN’s alumna Judith F. Baca, Los Angeles’s premier muralist, mentor, educator, and community activist. It highlights the collaborative processes and aesthetic innovations central to Baca’s The Great Wall of Los Angeles (begun in 1976), a 2,754 foot-long mural that runs along the concrete wall of the Tujunga Flood Control Channel in the heart of the San Fernando Valley. The Great Wall, which depicts crucial moments throughout California’s history, is now listed on the National Register of Historic Places. Judith F. Baca’s Experiments in Collaboration and Concrete will also feature drawings, research materials, and ephemera related to Baca’s current plans for expanding The Great Wall into the 1960s and 1970s. Whole highlighting The Great Wall of Los Angeles, the exhibition will also provide a larger context of Baca’s public projects by including two seldom-seen murals: Uprising of the Mujeres (1979) and Balance (1990) from the traveling installation The World Wall: A Vision of the Future Without Fear (1986 – present). The exhibition is curated Mario Ontiveros, professor of Art History at CSUN. 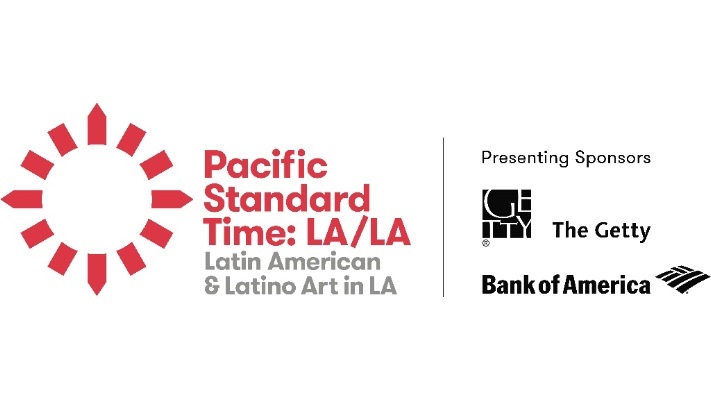 Major support for this exhibition provided through grants from the Getty Foundation. Noon to 4pm Monday through Saturday, and Noon to 8pm on Thursday. In the Art and Design Center, Located on N. University Dr. (Plummer St.) between Lindley and Etiwanda Ave. Lot D6 at Halsted/Lindley/ $8.00 Daily. Obtain permit from info booth at Lindley/Nordhoff or Prairie/Darby or at yellow self-serve dispensers. Visitors requiring accommodations for a disability, call 818-677-2156, 5 working days in advance.